8. Take a spin on Walt Disney’s Carousel of Progress. 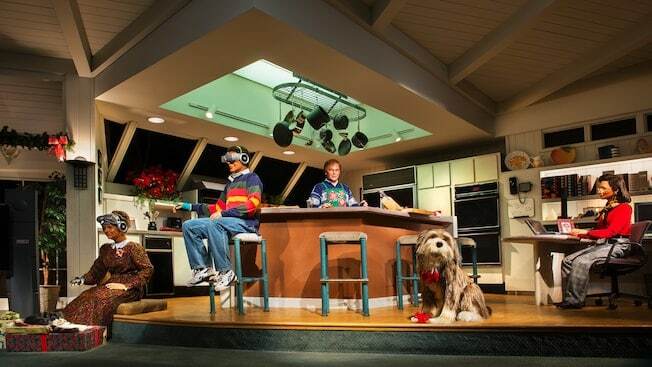 Step into the Carousel of Progress and watch the progression of technology over the 20th century. This stage show takes place in four acts—each one a different decade of the last century. Watch as audio-animatronic robots bring to life the story of a family and the changes they go through as technological advances take place in the world. The Carousel of Progress was created by Walt Disney for the 1964 New York World’s Fair and was first presented at the Fair. Then it made its way to Disneyland in California and has been at Disney World now for over 40 years and it remains very much the same attraction Walt created it to be. Enjoy a piece of Disney history as you learn about the history of technology the next time a Florida rain shower spills into your day at Magic Kingdom.